Doesn’t this just look heavenly? 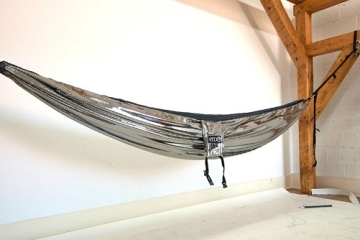 I can’t imagine lying down on anything that will be more relaxing. 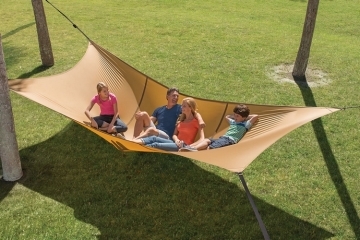 Called the Wave, it’s a hammock and parasol contraption that just screams brilliance. 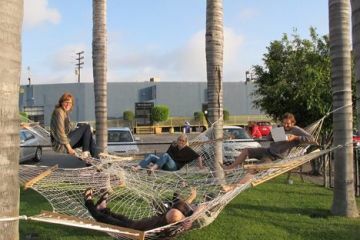 Who doesn’t love lounging in a hammock? There’s just something about surrendering to a piece of hanging material that leaves you trouble-free. 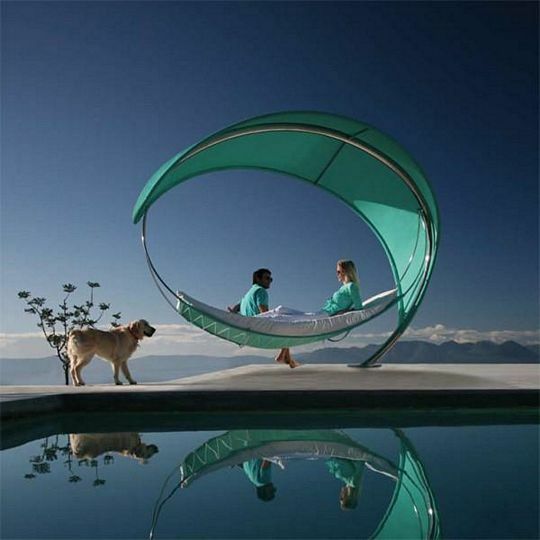 The Wave, however, seems more than that – neither just a hammock, a sun chair nor a parasol. In fact, it looks like an art installation the first time you lay eyes on it. As such, the soul-soothing utility provides quite the pleasant and unusual surprise. Royal Botania, the Wave’s creators, claim that the construction can withstand even undue weight, wind and weather. 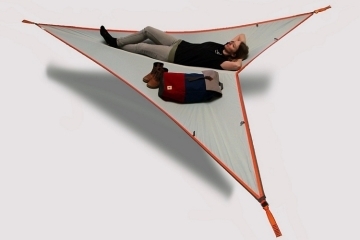 The product images certainly look it, with the contraption holding up with no seeming stress with two people on it. Total dimensions are 144 x 118 x 100.4 inches. Price, as you may have expected, is equally as grand – it currently sells for $23,439 a set. 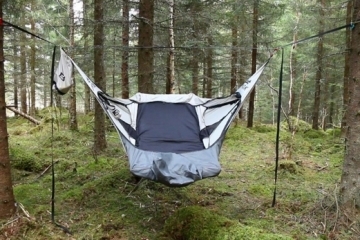 Hammock cushions, ground embedding frame and a base for terrace integration doesn’t come with the unit and costs extra.